In the Syrian town of Madaya, 40,000 people are under siege by the Assad regime and its Hezbollah allies. These civilians are being deliberately starved to death. In the past month alone, at least 31 people have died of starvation or been killed trying to escape. As recently as Sunday a pregnant woman and her daughter were killed by Hezbollah forces as they tried to escape. Besieging civilians breaks international humanitarian law, and breaks UN Security Council Resolutions 2139, 2165, 2191, 2254, and 2258. Weeks after the UN Security Council passed Resolution 2254 to bring peace to Syria, it looks like yet another empty promise. 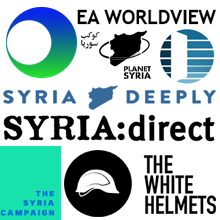 As a member of the International Syria Support Group, and as a Permanent Member of the Security Council, the United Kingdom has a particular responsibility to see that humanitarian assistance reaches “all people in need, in particular in all besieged and hard-to-reach areas” in accordance with Resolution 2254. The UK has shown it can drop bombs in Syria: they are no help to the starving. 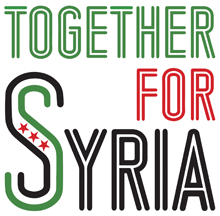 Now it is time to show what good the UK and its armed forces can do for people inside Syria. Protect civilians: Begin RAF food aid drops to Madaya now. Shameful that human beings are starving and dying in dire conditions in this day and age! No matter what colour, religion / belief, geography, culture, male or female ... all life is equal. Stop war, stop violence, stop hatred, stop greed. No excuse. Time to use machines of war to deliver AID, love and peace instead! On behalf of the Syrian British Medical Society, I strongly support your call for food drops into Madaya, and wholeheartedly agree with the sentiments expressed in this document. Would it be possible for the SBMS to become a signatory to this document? We would certainly like to. Dr Ayman S Jundi, Syrian British Medical Society.